The Worksite Hawk has been making waves in the construction business, and with good reason. It’s an innovative product that takes operations to the next level, bringing massive improvements to both security and management efficiency. And it’s available today for rental or purchase! If you’ve never tried the Worksite Hawk or seen it in action, now’s the time. The Hawk’s state-of-the-art PTZ camera and sophisticated video analytics allow you to keep an eye on the job whether you’re onsite, in the office, or at home. Real-time security notifications go directly to your mobile device, ensuring your continued attention and peace of mind. But don’t take our word for it. 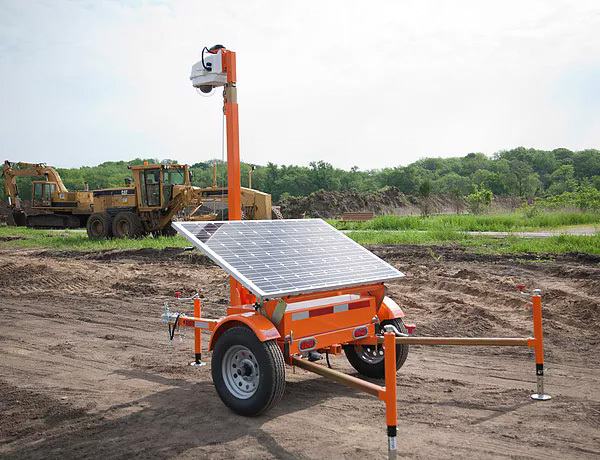 The Worksite Hawk is available for rental or purchase from numerous distributors across the country. We also offer a live demonstration of the Worksite Hawk via Skype or FaceTime, so no matter where your operation is based, you can discover for yourself what this amazing tool can do for you.